An email reportedly leaked from the BBC press office shows the broadcaster had concerns about the content of a Newsnight investigation into allegations sexual abuse by Jimmy Savile. 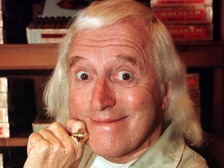 Had quick chat with Liz Mackean earlier which reminded me that your Jimmy Savile piece is in the pipeline. Last time I talked with Meirion you were focusing on allegations of abuse victims willing to speak on the record. Is this still the case? Aside from any promotional efforts, we may well need to do a bit of managing around this - despite such rumours circulating in the media for years. Read the full email on The Times (£).